In 2011, Nhat Huong Bakery Vocational Training Center was founded with modern equipment and machinery. The Center applies practical learning models with con sulting and assistance from foreign experts, espescially from Mr. Wiet Camps, former rector of RIJNJSSEL- one of the largest institution that teaches baking and pastry making in Netherland. In addition to the Center’s teachers who have been trained in the Netherlands and a number of Asian countries, the Center also receives cooperation from instructors who are teachers from departments of Domestic Sciences and Food Proscess Engineering from many universities, head bakers from grand hotels in Ho Chi Minh City, masters of Chinese baking, as well as baking and chocolate decoration artisans from Tan Nhat Huong company. In the course, the Center does not only improve knowledge regarding food safety in the baking industry but also because focuses on developing marketing, management, presentation and sale skills for students. The Center always creates the best conditons for students, from learning, school fees, to accommodation and other activites. The Bartender and Barista Training Program at Bartender’s Mart Center is established accordingly to professional training, with well-equipped facililites, guaranteeing training quality to cater for all learners. 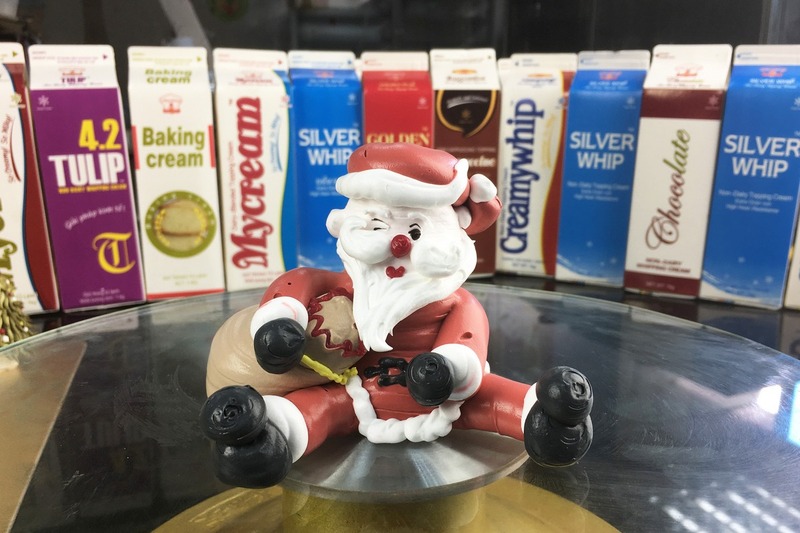 Tan Nhat Huong is proud of being the first topping cream factory in Vietnam, marking a breakthrough and contributing to diversity of the compettive baking industry today. 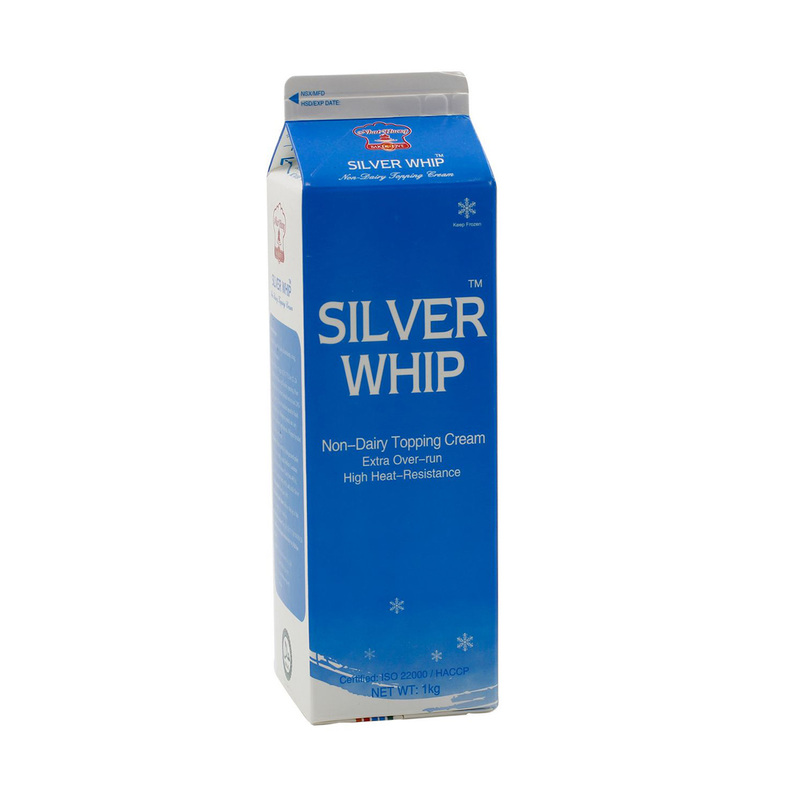 Tan Nhat Huong Non-Dairy Topping Cream (namely Golden Peak, Silver Whip, Snowhip, Classy,..) are manufatured with technology from F.B.Ice Holland, which are suitable for cake decorations, icing, desserts and beverages. They are characterized by the following features: rich creamy aroma, very strong heat-resistance to fit any weather conditions, extra over-run, goo moisture holding capacity, non-dairy suitable for vegetarians. 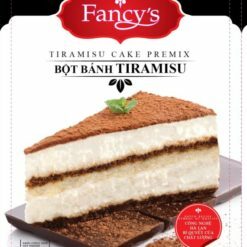 In 2010, Tan Nhat Huong launched the pre-mixed products, branding Fancy’s with excellent features: convenience for blending, better flavor and softeness compared to primitive formula. 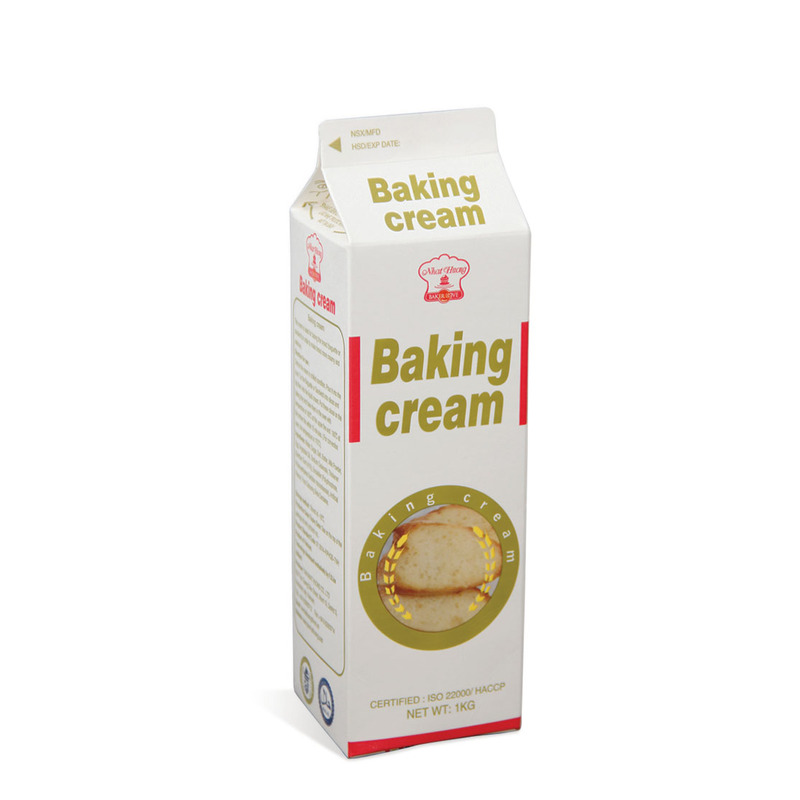 With nearly 8.000 items and outside the country baking supplies supermarket Baker’s Mart is now the ideal destination for baker’s as well as housewives, office ladies or even young people those want to pursure careers in baking. I know Nhat Huong through the workshops. And I learn a lot from Nhat Huong’s workshops. Wish Nhat Huong continued success to help Bakery insdustry in Viet Nam develope more. Tuyệt vời. Cảm ơn Nhất Hương rất nhiều. Mình từ không biết gì về bánh, đang loay hoay giữa một đống nghề rồi có một cơ duyên tham dự hội thảo bánh cho vui. Ai dè, mình lại đam mê đến vậy. Các anh chị PKD rất hòa đồng và bên giao hàng cũng nhiệt tình nữa. Lắm hôm giao mưa gió thế, nhìn tội ơi là tội mà vẫn cố giao cho mình để kịp kem làm bánh. Mình trân trọng tấm chân tình đấy. Tôi yêu Nhất Hương. Sự lựa chọn tuyệt vời cho những ai đam mê nghề bánh.